Marc in his element. Photo from NYC Velo. Marc Vettori loves cyclocross. Known to some as Fat Marc thanks to his blog, he’s been racing cross for well over a decade, promotes one of the mid-Atlantic’s longest running cross races, helps run the Delaware Cyclocross Coalition of Delaware (which has in turn helped foster rising cross stars such as Jeff Bahnson and Sam O’Keefe), and more. It’s probably no surprise then that we talked cyclocross, and more specifically the “punk rock” days of cross, the impact of popularity and money, and where the sport’s going in the future. How did you first find cyclocross? Do you remember what your very first race was like? I remember reading an article about it in a magazine. Then two of my teammates Terry Blanch and Dennis Smith were going to a local race, the old Snow Valley Psychocross series at Arundle High School maybe? They let me tag along … that was 1997. First race was definitely jungle cross. Classes were A and B. I was in the B and there were maybe 30 guys. It was a weekly series. The course used some double track and single track trails around the school. There was a wicked run up and two stream crossings that I can’t remember riding, but maybe we did. That first race it was really cold and raining. It was pretty awesome day. I just remember running up that hill and my teammate/hero Dennis standing at the top of the hill screaming for me. I was kinda hooked. I was on a mountain bike with skinny tires. 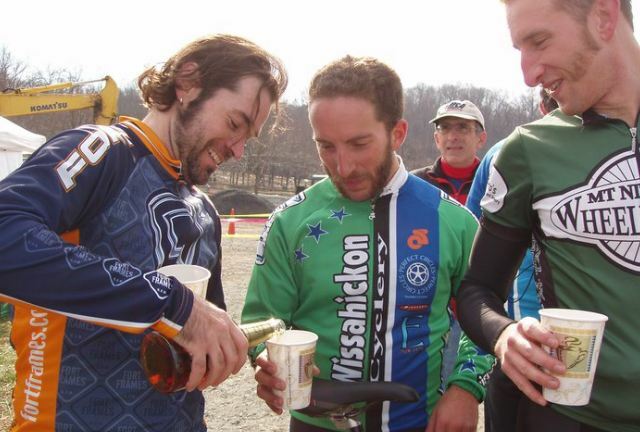 You once wrote on your blog that the early days of cross were “kinda punk rock.” What did you mean by that? What was it like to race in a punk rock race? It was grass roots. It was people working together. It was community. The regions all worked together, it was promoter to promoter, local series to local series. From my perspective it didn’t feel like USAC paid a ton of attention to it. It felt like a movement, it was a neat time. Fat Marc, Chris Mayhew, and Matt Ferrari getting a little punk rock. Photo from Marc’s blog. Cross has definitely grown far beyond its punk rock roots. In that same post, you share some pretty strong feelings about the major institutions of cycling and cyclocross (UCI, USAC, USGP) co-opting the work promoters like you, JD Bilodeau, Adam Meyerson, Richard Fries, and others did to build a foundation for US cross. What is it that the governing bodies and major series are doing wrong in your eyes? How could they turn things around and do things right? When did the money start coming in and how did it change things? Given that the money is definitely not going to stop coming into cross any time soon, is there hope for cross in the future or is it all downhill from here? I think cross has a very bright future. There are lots of good series run by lots of people who care about the sport and work really hard to make things happen. I think we’ll see big races get bigger and there will be a bit of a monopoly there. More money, more problems. I feel like regions don’t work together like they used to. Hell, even within some regions, series-competition results in some races overlap. Cross is hot. People want to race it and that’s good. I think in someways it’ll get big like mountain biking in the 90s and then folks will decide if they want to go to bigger races across the country or not. It’s good because in the mid-Atlantic you can race pretty much every weekend from September to December. This is all a good thing, I guess. Marc helping cross grow at a clinic. Photo by Bill Schieken, CXHairs. Like you said, cross continues to grow at an unbelievable rate in the US. Is there something that needs to be done (by promoters, racers, sanctioning organizations, or otherwise) to make sure the growth is sustainable? Cross for the sake of Cross. 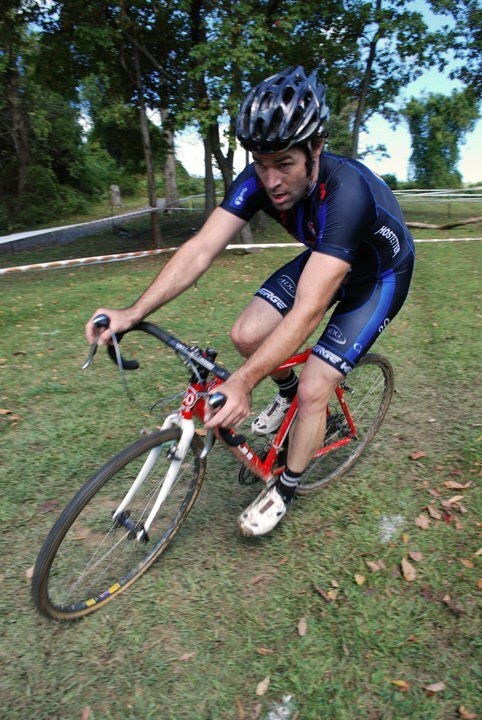 This was your 11th year as the promoter of Granogue, one of the largest and longest-running cross races in the mid-Atlantic region. What do you, as a promoter, wish racers knew (or appreciated) about what it takes to run a race? What common complaints could you happily go the rest of your life without hearing again? You know, we are pretty straight forward about our organization and how as a UCI C1 we pretty much always lost money. We are pretty lucky to have folks like Laurie Webber and Tom McDaniel as the visionaries behind Granogue along with a lot of people in the cross community–like the Delaware Cyclocross Coalition of Delaware and C3-Athletes Serving Athletes–that all come together to make it happen. We’ve also been lucky in that we don’t get a ton of complaints. We ask for feedback, and I think people appreciate our teams efforts to grow, foster cross, not just in Granogue but across the region. 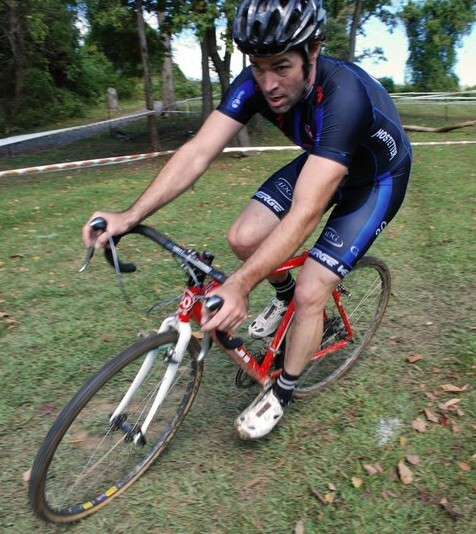 This entry was posted in Cyclocross, Interviews, Racing and tagged C3 athletes serving athletes, dccod, delaware cross coalition of delaware, fat marc, granogue cyclocross, jeff bahnson, marc vetorri, sam o'keefe. Bookmark the permalink. As someone who races every weekend in the mid-Atlantic, Marc and all of the other promoters do an amazing job putting on awesome races! I’m a runner, looking to do more biking. Can you explain what cross is? You should definitely give it a try! Cyclocross is sort of the cross-country running of bike racing. Cyclocross bikes are basically road bikes with clearance for wider, knobby tires. The courses are a mix of grass, gravel, pavement, dirt, mud, hills. They’re typically about a 1.5 mile long loop. There’s almost always a set of barriers that racers have to dismount their bikes to run over.